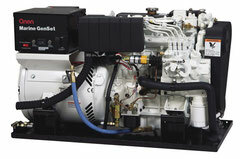 Cummins Onan: marine generator sets range, between 4 to 99 kW. 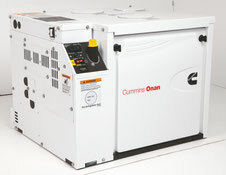 Cummins Onan is the only manufacturer who develops and tests each generator set like a single product. That’s why engines, alternators, control systems and other components are under the guise of a unique guarantee and repaired by Cummins Onan’s network. External terminal block (water, gasoil, battery, exhaust) available on the 4 sides of genset. Marine generator sets are equipped with LCD display to indicate loading rates so you can monitor and manage your electricity consumption. 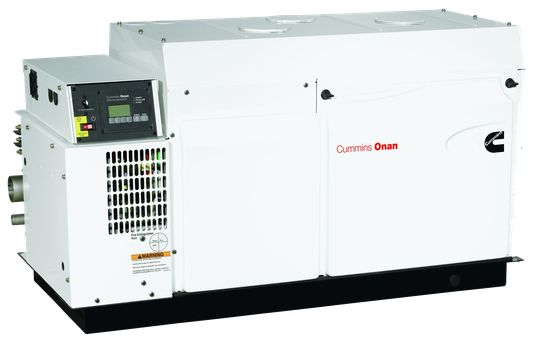 Cummins Onan generator sets are protected against harmonic currents associated with informatics system and high performance illuminations. They can operate despite extreme marine environment (inclined a maximum of 30°). Every Cummins Onan gensets are “type approuved” Lloyd’s and DNV (Det Norske Veritas). Fuel and oil systems are compliant with the marine standards. Gensets respect standards of EPA Tier II. They have an oil breather with closed circuit. Engines with electronic management enable to reduce fuel consumption. Please, contact our team of professionals if you need more information.